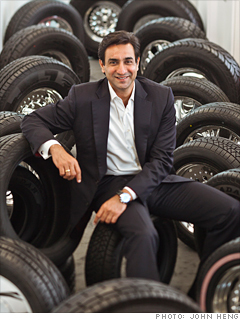 Sareen's Omni is the Ikea of tires, distributing affordable but trendy wheels for cars in 30 countries. Last year he forged an alliance with the Breast Cancer Research Foundation to launch a "pink ribbon" tire that will hit stores later this year. His goal? To reach sales of $1 billion by 2015, from $180 million today. Our annual list of the world's largest corporations, including detailed company profiles and contact information.